Description Sepia, light crease down centre. Size 68cm x 51cm (27" x 20"). 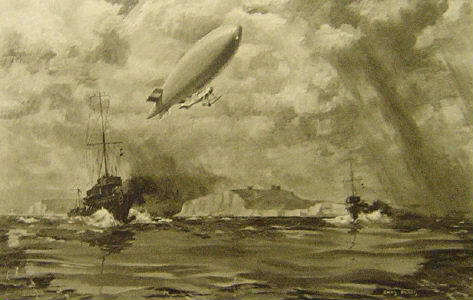 A German submarine attached by a British airship and destroyers, off Dover.